This historical drama is based on the shrouded incidents around the death of Princess Diana, the "people's princess" as so eloquently mentioned in a speech to the British public by the young Tony Blair who just came into power. Directed by Stephen Frears, The Queen is an insightful drama that uses actual events with some artistic liberty that may or may not have happened around this time which caused the world to stop. To assist with the realism of The Queen, the film uses interviewers, news footage and insider reports, both verified and non-verified to piece together the inside information of what happened behind the closed doors of the monarchy. Starring Helen Mirren as Queen Elizabeth II and Michael Sheen as Tony Blair, this movie revolves around the turbulent relationship of the reserved and regal monarchy who kept silent during the death of Princess Diana, however the British public reacted quite harshly towards this decision and it was only through the intervention of Blair that monarchy finally reacted. 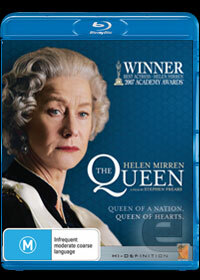 Although The Queen has a truly impressive assemble in the actors that they have chosen to represent their real-world counterparts, Helen Mirren truly immerses herself into the role of Queen Elizabeth II, as does Michael Sheen as Prime Minister Tony Blair who mimics Blair through his body language and even the way he speaks. With acting like this, it's easy to become drawn into this world of royalty, politics and conspiracies. 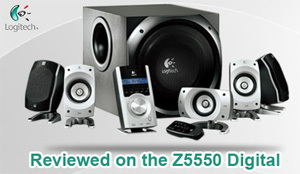 On Blu-ray the video quality is quite exceptional, although at times there is some noise with the image quality. Thankfully this is far and few and when matched by the surround sound, it's truly a cinematic experience. The scene where the Queen is fiddling with her pearls truly makes use of the surround sound experience and at first, I thought our speakers were broken. In conclusion, The Queen is a truly insightful drama about one of Britain's most darkest times and gives the viewer a truly unique insight into what was happening in not only Britain but also the Monarchy and the currently political party of the time.